Heavy duty bucket with ergonomic handle. Accomodates 18 in washers and squeegees. Holds over 6 gallons. Includes measuring units, large footprint for increased stability and rounded pour spouts on 2 corners for easy emptying. 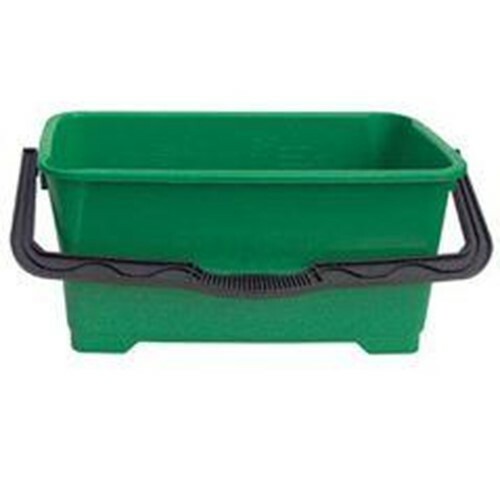 Accessories sold separate includes ProBucket Lid, Bucket Barage, Casters and Bucket Sieve. Heavy duty bucket with ergonomic handle. Holds over 6 gallons of liquid and 18″ T-bar. Includes measuring units, large footprint for increased stability, and rounded pour spouts on 2 corners for easy emptying.